One of Baralan’s many standard nail polish bottles that can be customized. Corpack’s nail polish bottle for Artdeco. Virospack’s dropper pack for nail treatment products. Nail-Aid Spray Away, the first aerosol nail polish remover. 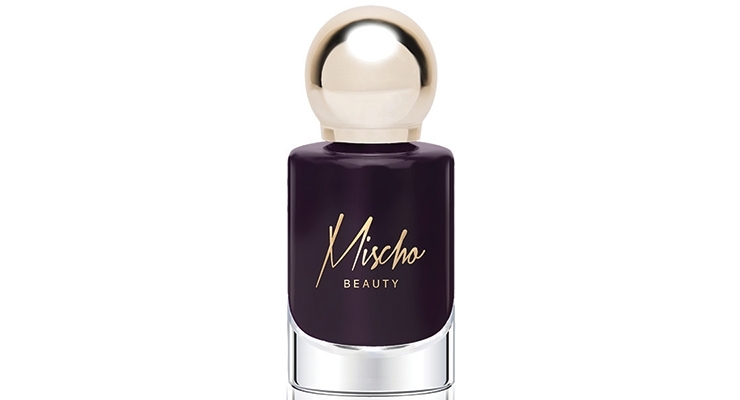 Mischo Beauty’s Lacquer of Love, in a newly designed bottle. Sales of nail care products haven’t been as high as brands and retailers had hoped for in recent years, but things are looking up, according to a report by Research and Markets,“Global Nail Care Market 2017-2021.” The global nail care market is expected to grow at a CAGR of 3.74% during the period. IRI, a Chicago-based research firm, reports dollar sales for the nail category were down 8.51% for the 52-week period ending December 3, 2017. 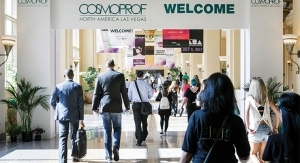 One area that shows promising growth for the nail category may be professional nail brands, which are often sold exclusively in salons, and purchased by nail techs to use on clients. “Nail salons seem to be growing at a fast rate, and in significant numbers in Germany,” says Jean Paul Corbeil, CEO, Corpack GmbH. 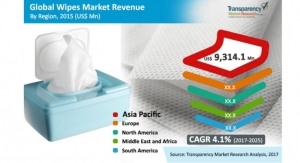 A report by Transparency Market Research titled “Nail Care Market—Global Industry Analysis and Forecast 2017-2022” states that the sales of premium nail care products, which are often sold in salons as well as prestige retailers, are projected to exceed $6.8 million by the end of 2022. Suppliers agree that overall, the nail market may seem to have leveled off from its surge several years ago, but from their point of view, it remains strong. “Nail polish is always exciting,” says Jim Slowey, Baralan. “The market may not be as hot as it was in the past, but if you take a look at social media, there is no sign of slowing. 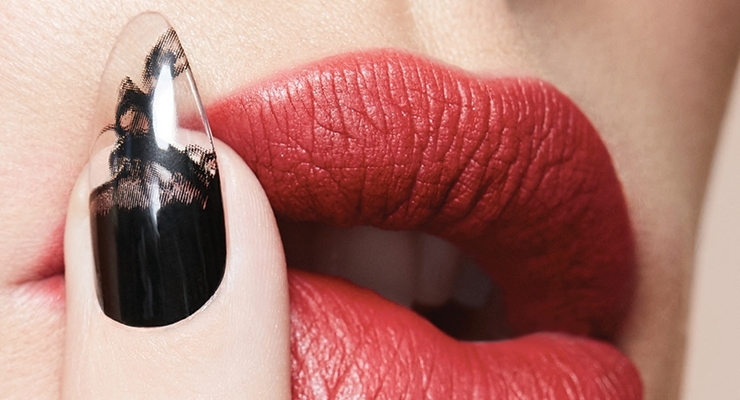 There seems to be a new nail art trend every day, giving consumers endless reasons to change their polish,” he says. 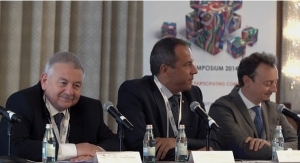 Product development innovations will no doubt cause an increase in the demand for innovative packaging. Since there is more competition in the nail category now, there is a need for packaging that is designed to help a brand stand apart from competitors. 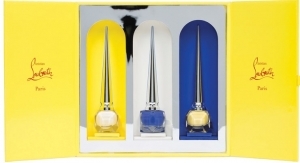 Prestige nail brands, such as Christian Louboutin Beauty, have set the bar high for innovative nail polish packaging. MW Luxury Packaging worked with Batallure Beauty in 2015 and 2016 to create limited edition sets for Christian Louboutin Beauty’s extravagant nail polish. The luxurious boxes showcased the beautiful bottles, and made an elegant gift set. 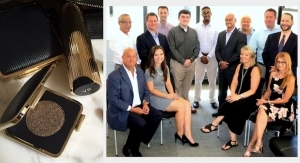 “When a nail brand sells at a higher pricepoint, consumers have come to expect a more exciting package—something more upscale that adds value, and justifies a higher pricepoint,” says Dustin Wills, managing director of the Americas, MW Luxury Packaging. Wills continues, “We made an internal fitment to protect the bottles during transit, and made sure it can be easily removed so the consumer has a keepsake box,” he explains. 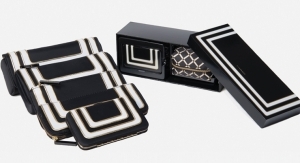 MW Luxury Packaging specializes in high-end luxury packaging for beauty brands. Baralan’s Slowey sees a push toward more customized packaging for polish. “New nail brands, as well as existing ones, are looking for ways to stand out with a custom-designed bottle. 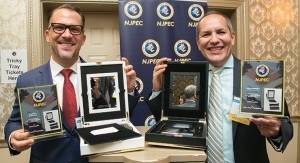 The right packaging will set them apart so they outshine competitors,” says Slowey. Baralan offers a large variety of innovative nail polish bottles as standards, which can be affordable options for indie brands—while delivering a unique, statement-making look. The supplier also specializes in custom bottle shapes. “We work with a lot of brands to come up with custom solutions—ways to decorate our standard bottles so that they don’t look like all the other nail polishes on the shelf,” says Slowey. 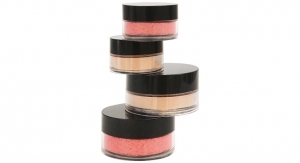 Corpack has worked with BEYU, AR Cosmetics, Laboratoire Biosthetique and Artdeco (shown). With Artdeco, Corpack worked to deliver a thick-walled bottle with an elongated cap. The elegant bottle makes the nail color look suspended inside of it, and the thick base looks luxe. 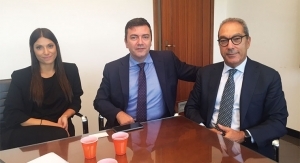 Bottle Coatings’ president Shivie Dhillon also says he does not see a slowdown in the nail market. “The market is maturing, but it hasn’t dipped,” Dhillon says. “The numbers are holding steady, especially in gel polish,” he adds. Bottle Coatings is typically a go-to resource when a nail brand needs a durable, protective coating, or decorative look. 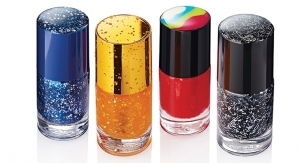 The supplier’s UV-protectant powder coatings for glass bottles are eco-friendly—and a necessity for a product that is sensitive to UV-light, such as gel nail polish. 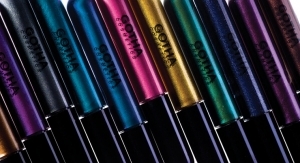 The supplier also has the capability to color-match a coating to a product color, and offers thousands of options—from glitter to glossy and metallic looks. OPI recently color-matched its nail polish bottles to its product colors—more about the redesign is below. Take a look at Teen Vogue, and you’ll see numerous examples of how nails have become a statement-making fashion accessory, especially for younger consumers. Recently the publication covered how to apply glitter, a ‘flashing lights’ manicure, color-changing crystals, and #strangerthingsnailart, which are designs inspired by the popular television show. 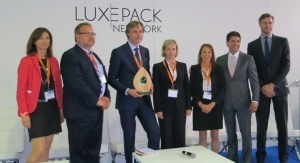 Packaging suppliers are paying attention to this trend as well. “Nail polish has become a fashion accessory,” says Rosa Porras Mansilla, marketing and communication manager, Virospack. “We are constantly connected to our smartphones or tablets, and our nails are more prominent than ever—and say a lot about us. They allow us to project an image that reflects our personality or style, or even a feeling or mood,” she explains. Fashion designer Christian Siriano partnered with nail brand KISS to create the Impress Press-On Manicure Siriano Collection. One set in the artificial nail collection is matte black, and decorated with the message, “People are People.” The full collection includes eight limited edition sets of press-on nails with designs based on fashion looks the designer sent down the runway. A glittery gold design is shown. Nail brands are coming up with innovative ways to fuel the conversation about nail art trends on social media, and keep it going. Nails Inc. jumped on the “unicorn” beauty trend a few months ago and launched the “Sparkle Like a Unicorn Nail Polish Duo,” which quickly sold out and had fans on a waiting list. The set includes two nail lacquers in its signature square bottles, in two glistening hues—a holographic blue-purple and chrome rose gold. The team at Butter London partnered with Pantone to create a nail polish perfectly matched to the 2018 Color of the Year, Ultra Violet. The brand uses square bottles that are instantly recognizable. SinfulShine, a 2-step manicure line by SinfulColors, includes a limited-edition violet hue in its winter line. The limited edition dusty rose pearl is called Kitten, and it is packaged in the brand’s rounded bottle. The formula is 5-free, and the brand is sold exclusively at Walgreen’s. Orly recently had the Internet buzzing with its halal-certified nail polish line created in partnership with the website Muslim Girl, marking the first time an American beauty brand created a product that caters to Muslim women. Orly’s six-piece #HalalPaint collection features Orly Breathable Treatment + Color nail polish, in its signature round bottle—and the formula contains 100% halal ingredients. Orly Breathable Treatment + Color nail polish is water-permeable, which is important to most Muslim women so that it won’t block the nails from water during ablution—the Islamic procedure of washing parts of the body before prayer. Orly says the formula is based on contact lens technology, allowing oxygen and hydration to pass through to the nails. The formula also contains conditioning ingredients, including vitamin B5, argan oil, and vitamin C.
Fashionable nail brand Essie declared June 1st as the first-ever National Nail Polish Day last year, and beauty fans joined in the festivities on social media. 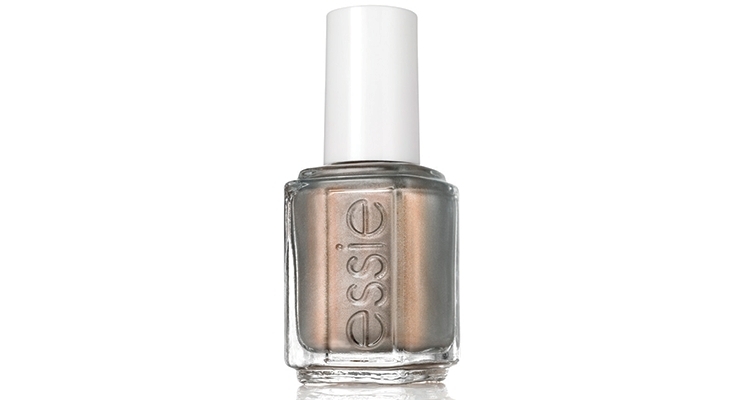 Essie’s new winter collection includes Social Lights (shown), a shimmering slate gray that “glistens with amber warmth” the brand states. The brand looks to the fashion runways each season to launch its color collections, which are always on-trend. 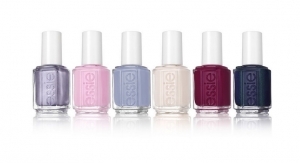 Essie sets its Gel Couture line of gel polish apart with an innovative bottle shape that was inspired by a bridal gown. 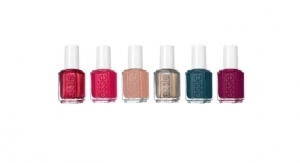 Essie recently expanded its Gel Couture line to include 18 new shades, available only in salons. Several nail brands are expanding from polish and developing more treatment products, to care for the cuticles, hands and feet. These products often utilize different types of packages and dispensing options, which often include dropper packs for cuticle oils and quick-dry drops. 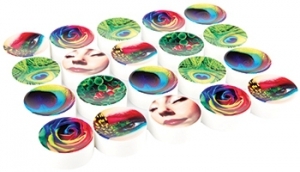 Viropsack’s Porras sees more brands moving toward expanding nail care, rather than just color. 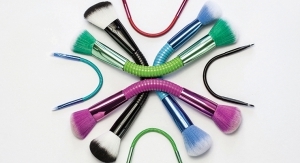 “The treatment category is expanding because specific products are needed to make sure nails stay healthy and look beautiful before polishing. We believe consumers are interested in using products that help moisturize nails and care for cuticles, and brands are investing in this category,” she says. “Dropper packages are often the best way to dispense these types of products, which must be precisely applied on a small area of the nail or cuticle,” Porras explains. Virospack offers a wide range of standard options in droppers, which a brand can customize. The company’s large catalog includes classic and push-button droppers with rubber or TPE bulbs, paired with caps that have aluminum overshells for a more premium look. 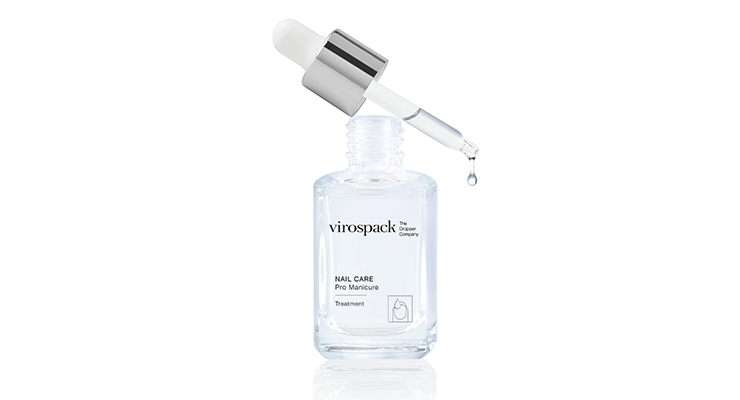 Virospack worked with Sephora to provide a classic dropper with a rubber bulb for its nail oil. “Both components are painted black,” says Porras. “Black is the most common color in the nail category, or white. We offer in-house decorating, but brands rarely request a custom color for a dropper pack for a nail product,” she says. Virospack also worked with Inglot, which chose the supplier’s pushbutton dropper, paired with a TPE bulb and a plastic injected cap in white. 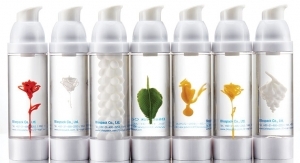 When Virospack works with a nail brand, the company usually manufactures and decorates the dropper pack, which includes its bulb, cap and pipette. “We produce, decorate and assemble all the elements of a full dropper, not servicing separated components,” Porras explains. In addition to classic droppers and pushbutton styles, the supplier also offers tubular glass vials, ranging from 2- to 35ml. “These are highly customizable with our in-house decorating processes,” says Porras. Cote is a nail brand with an unusual treatment product—a nail strengthener, Growth with Garlic. It contains “an odorless garlic extract to provide the natural road to longer, stronger nails while helping to remove yellowing that other polishes may leave behind,” the brand states. Cote’s nail color and treatment products are in round bottles decorated with labels, with the exception of its Organic Argan Oil for cuticles, which is in an amber glass dropper bottle with a white cap. OPI has also expanded in the treatment category with its new ProHealth Technology Base and Top Coats, which launched in salons last November. The products protect nails from the damaging effect of gel polish, allowing it to be more easily removed by soaking the nails for seven minutes, which is half the time of existing options. Two years ago, several brands launched sprayable nail polish, which never really caught on—and now there’s a sprayable nail polish remover. Anise Cosmetics launched Spray Away last spring at Walmart stores. 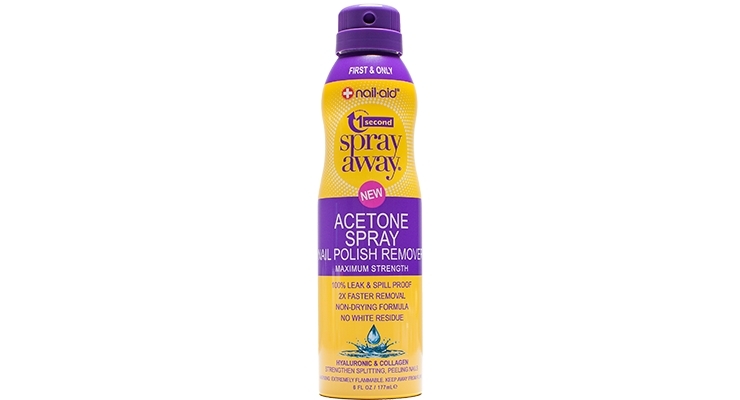 The aerosol nail polish remover is designed to spray onto a cotton ball to remove polish. The aerosol can is less messy than a liquid product, since it is spill-proof. Plus, it has a child-resistant cap. Spray Away uses aerosol technology to marry acetone and other moisturizing ingredients such as keratin and collagen, which would not be possible with any other application, the brand says. There are two acetone formulas, which contain hyaluronic and collagen or keratin and cocoa butter, as well as a non-acetone option with ceramide and coconut oil. Cutex Nail Polish Remover, which contains acetone and patented blends of botanical oils, just updated its packaging. The brand kept the same iconic shape, but now they come in translucent colors. “The new translucent bottles help the consumer quickly differentiate among the slightly tinted formulas so they know they are choosing the right formula for their nail needs,” the brand states. The Cutex Nail Polish Remover collection contains Nourishing Nail Polish Remover, with flaxseed, perilla seed and apricot kernel oils, plus vitamin E and a peach scent; Strength-Shield Nail Polish Remover, with vitamin B5, vitamin E, hydrolyzed silk proteins, and lavender flower extract; Ultra-Powerful Remover, with flaxseed, perilla seed, and Apricot kernel oils, as well as vitamin E, plus a cucumber fragrance; and Non-Acetone Nail Polish Remover, with Coconut oil. While the Siriano Impress press-on manicure, mentioned above, doesn’t require glue and isn’t reusable, Static Nails says it is creating a new nail category as “the first reusable pop-on manicure brand.” Alexis Irene, the company’s founder, came up with the concept for Static Nails while she was still a college student, and launched the company in 2016. Static Nails are reusable, paintable, and the kits contain 3D objects, intricate prints, and special effects such as chrome, holographics and mirrored polish looks. Static Nails are applied with the brand’s custom formulated glue which bonds like an acrylic, but without the damage. The artificial nails can be worn up to 18 days or reapplied up to six separate times. Designs include Rose Quartz, Unicorn Chrome and mermaid-inspired looks. Smoke Show, an encapsulated smoke effect, is shown in the photo. 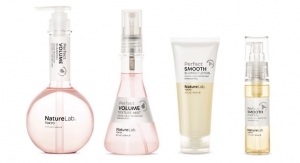 Leading salon brand OPI, a division of Coty, recently redesigned its GelColor packaging. All 140+ GelColor shades are now in bottles that are color-matched to each respective hue. A sleek white cap and updated fonts complete the new look. “The new GelColor bottles provide a cohesive look across all OPI lines, including Infinite Shine and classic Nail Lacquer products,” the brand states. Prior, GelColor was in black bottles. 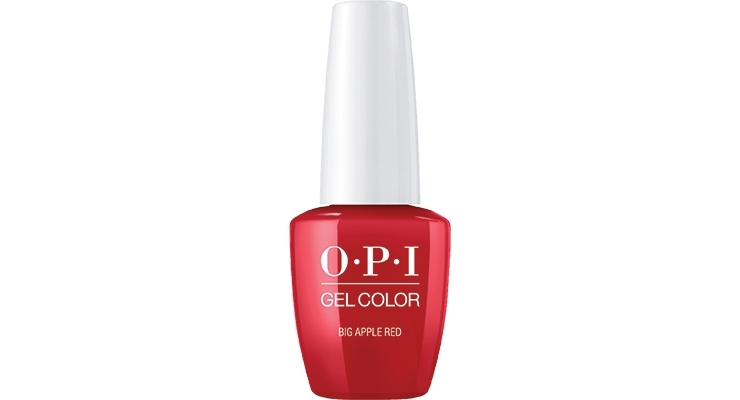 OPI also launched a new smaller bottle size, 7.5ml, for its GelColor line. The smaller bottle, which “shrunk” from 15ml, is more affordable for salons, so they can keep more colors in stock. 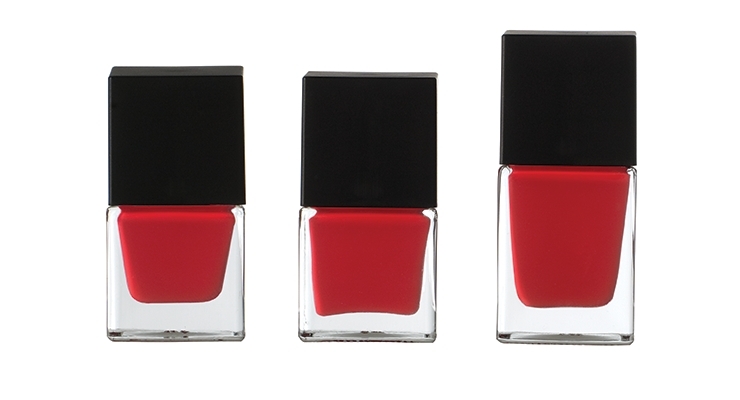 The smaller size is available in 60 of the brand’s most popular shades, including Big Apple Red, which is shown. 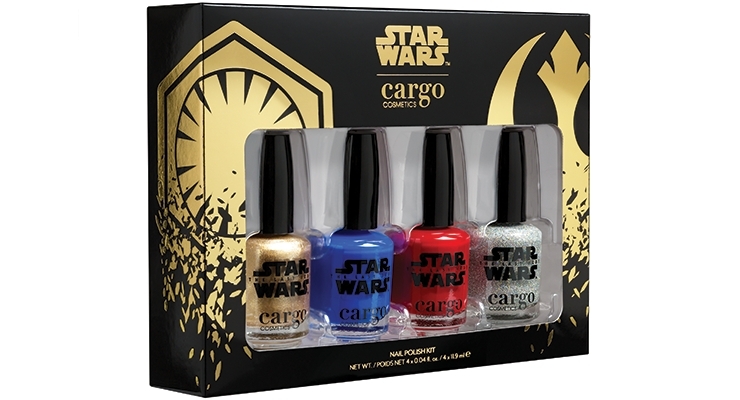 The limited-edition Cargo Star Wars Nail Polish Kit includes four quick-drying, high-gloss nail lacquers with a chip-resistant formula that is formaldehyde free. Round bottles are decorated with the Star Wars logo, which is applied using a silk-screening process. The shade names are inspired by the film, and the kit includes the following colors: Restore the Republic, a silver shimmer; Praetorian Guard, a true red; The Force, a cobalt blue; and Rule the Galaxy, a metallic gold. The colors were chosen to represent “the battle for the galaxy,” the brand says. “The blue and red nail polish colors were inspired by the light sabers in the film, and we sent actual movie footage to our supplier to match the colors exactly,” Cargo’s team explains. Brands want to differentiate, while consumers want convenience. A repositioned and expanded packaging area ups the ante for suppliers. The demand for applicators and tools continues, as brands work with suppliers to bring new designs to market. 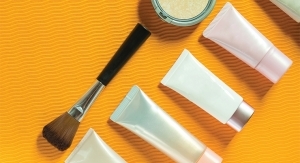 Makeup is the new skin care as far as retail figures go, and packaging often plays a key role in consumers’ preferences. There’s still a demand for nail care products—and stylish packaging is keeping consumers interested. For the 27th edition, suppliers gave packaging the royal treatment, exhibiting exquisite componentry and piling on the glitz. 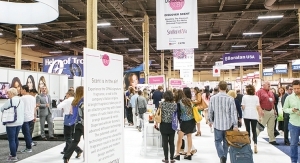 Visitors to the cosmetics-only B-B show enjoyed a hands-on experience with the formulations and the packaging—spreading, pumping, dabbing, mixing and more. Beauty brands attract attention and compete for holiday shoppers with packaging designed to add value. 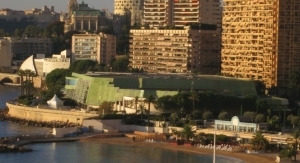 Symposium focuses on the quality and capabilities of Made in Italy and Made in Europe packaging, formulation and machinery suppliers. 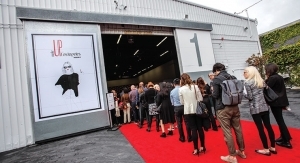 A new venue on Manhattan's West Side provides plenty of room for additional exhibitors and an increased number of attendees. Creativity and artistic expression reign at MakeUp in Paris at the Louvre, where exhibitors and attendees stream double digits over last year.